∫ “Sensory Play”: Gloversville Public Library, 34 W. Fulton St., Gloversville, 10:30 a.m. The program, sponsored by the Capital District Child Care Council, is for children ages 3 and over. ∫ Aaron Mittler: Nick Stoner Inn and 19th Hole, 1810 Route 10, Caroga Lake, 6 p.m. No cover. ∫ Doc Orloff Blues Elixir: Mayfield Grill, 8 School St., Mayfield, 8 p.m. No cover. ∫ Mittler and Hansen D’Rael-d: Sam’s Seafood and Steakhouse, 281 N. Comrie Ave., Johnstown, 7 p.m. No cover. ∫ The Refrigerators: Glove Performing Arts Center, 40 N. Main St., 7:30 p.m.; doors open 6:30 p.m. Club setting with beer and wine for purchase. To reserve tickets, call (518) 773-8255, Ext. 25 or order tickets online or purchase at the door. Tickets are $12 in advance; $15 at the door. 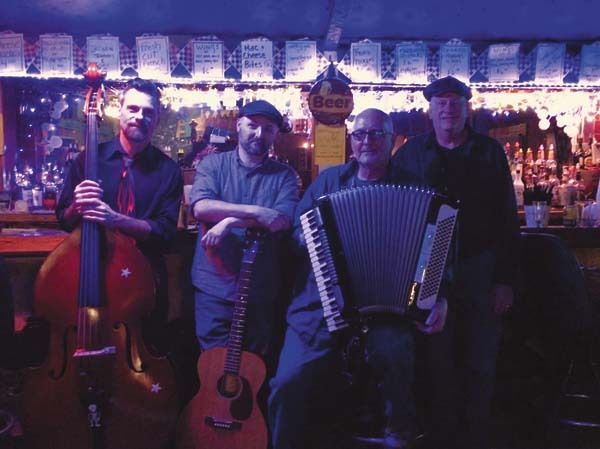 ∫ FM Band: Glove Performing Arts Center, 40 N. Main St., Gloversville, 7:30 p.m.; doors open at 6:30 p.m. Club setting with beer and wine for purchase with other concessions on sale. Presale tickets online are $8; $10 at the door. To reserve tickets, call (518) 773-8255, Ext.25. ∫ The Glove Cities Rotary Run for the Roses will be held at 9 a.m. The 5K race will begin at Partner’s Pub, 21 S. Williams St., in Johnstown. Check-in begins at 7:30 a.m. This race is a part of the Triple Crown series presented by St. Mary’s healthcare. To sign up go to: www.zippyreg.com. The cost is $20 for the individual race or $50 for the Triple Crown which includes Saturday’s Rotary Run for the Roses, The May 19 Johnson Jog and the June 9 Lexington Run. ∫ The BP Color Run will be held at the Broadalbin campus, 100 Bridge St. The race will start with a one-mile kids fun run at 9 a.m., followed by a 5K run/walk at 10 a.m. Prizes will be awarded to the top finishers in both races. All registration packets and purchases can be picked up from noon to 4 p.m. Friday or starting at 7:30 a.m. on race day. Racers will get a race-day t-shirt, bib, color packet, temporary tattoos and a bottle of water. Race proceeds will support wellness initiatives for students at Broadalbin-Perth schools. To register go to: www.runsignup.com. The cost is $20 for the Kids Fun Run and $30 for the 5K Run/Walk. ∫ The Gloversville Farmer’s Market will open for the season. The first market of the year will be held from 8:30 a.m. to noon at the Farmer’s Market Pavilion on Elm Street. This kick off event will feature kid’s activities, free sapling giveaways, local produce, plants, meats, baked goods, and more. The market will run every Saturday until mid-October.